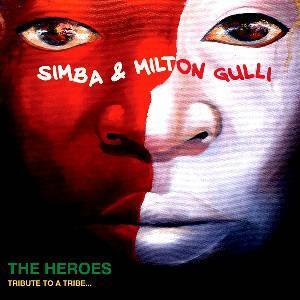 Mozambican Hip Hop artists Simba and Milton Gulli are going to release the album "The Heroes", a tribute to A Tribe Called Quest - ATCQ. The 11 track cut, recorded live in studio in Maputo-Mozambique, pays homage to the legendary hip-hop band for being a source of inspiration and positive energy. 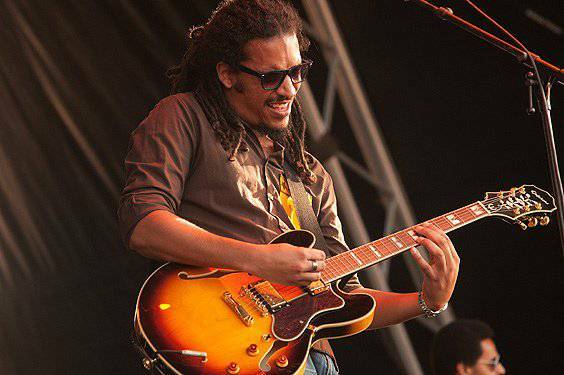 The LP is a combination of various musical influences that the two artists have gain throughout their careers from jazz to hip hop and an afro-latin twist that resembles "Bossa Nova" and traditional African rhythms. The album which is being published by British Record Company: Barely Breaking Even - BBE will have its global release through ITunes on September 9th and will simultaneously be on the shelves of music stores in France, Germany, Japan, South Africa and United Kingdom. This project shows an eclectic aspect, combining sounds and visual arts. 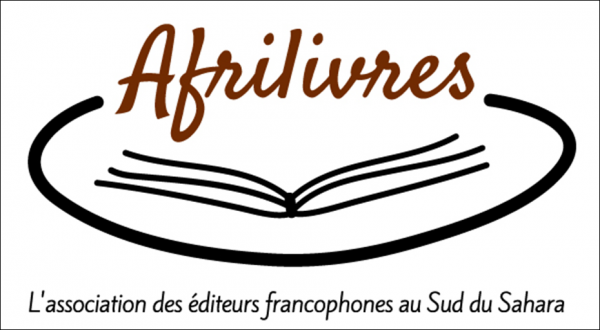 The tribal mask on the CD is a portrait of "Nyau" – Ethnic group from Mozambique, Malawi and Zambia and considered World Heritage by UNESCO. 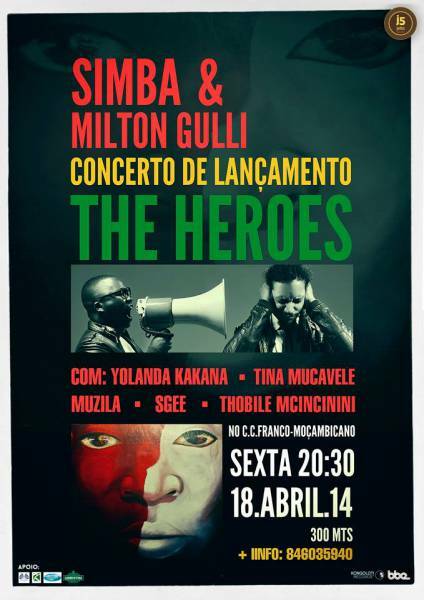 The promotion of "The Heroes" contemplates artistic instalations, in Art Galleries, with performances of Simba and Milton Gulli and Francisco Vilanculo's (author of the painting) Nyau's Collection.